Every camper knows the problem – pegs which bend as they are being hammered in, making themselves unusable. The bedrock peg by Outdoorer is the perfect solution. This peg doesn’t bend, not even if the soil is rocky and stony. On the contrary – this bedrock peg does exactly what it says; it’s specifically designed for you to be able to fix your tent safely and stably into hard ground. You can buy the Rock Pegs via Amazon. The Rock Peg bedrock peg by Outdoorer is the perfect choice for stony soil. The strength of the material means that this peg just does not bend when it encounters stony ground while the T-shaped plastic hooks at the top ensure that the bedrock peg can be easily pulled out again when it’s time to take down the tent. You can use the hooks to fasten the guy ropes of your tent securely. 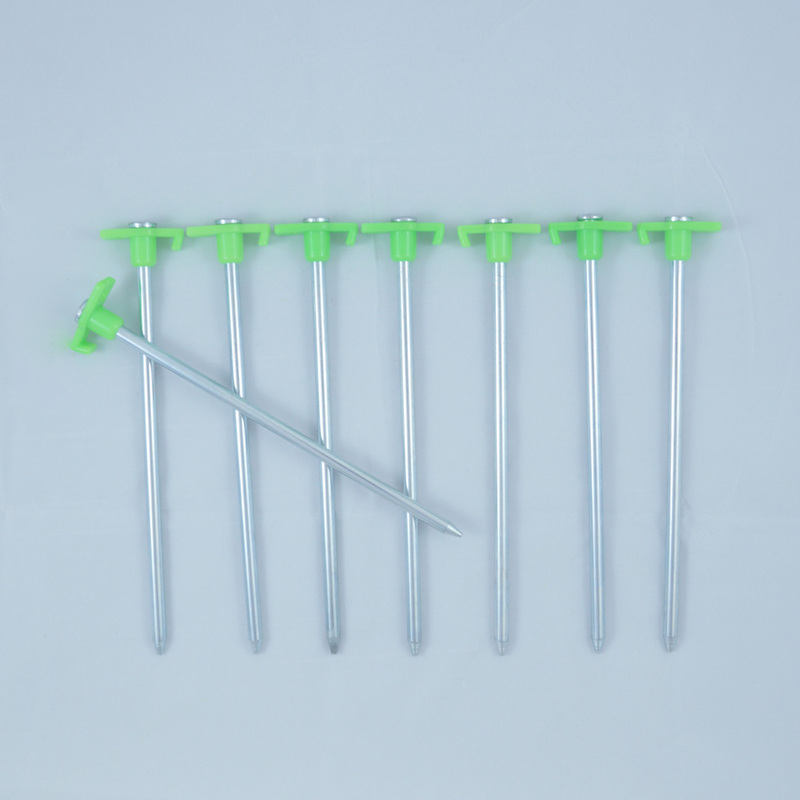 The plastic hooks for anchoring are formed as one piece and attached below the nail head so that they are not damaged during as they are being put in. Bedrock pegs by Outdoorer are extremely stable and robust. While the „Rock Pegs“ look similar to „normal“ pegs, they are special in that they are much longer (23 cm) and wider. 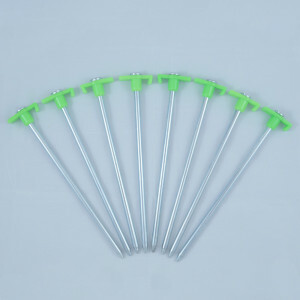 The high-quality steel ensures that the peg, which has a thickness of 8 mm, does not bend when it is being turned and can be taken out again without any problems. Due to the product’s properties, these bedrock pegs are perfectly suitable for stony soils and for very hard soils. But of course they can also anchor your tent securely in softer soils. 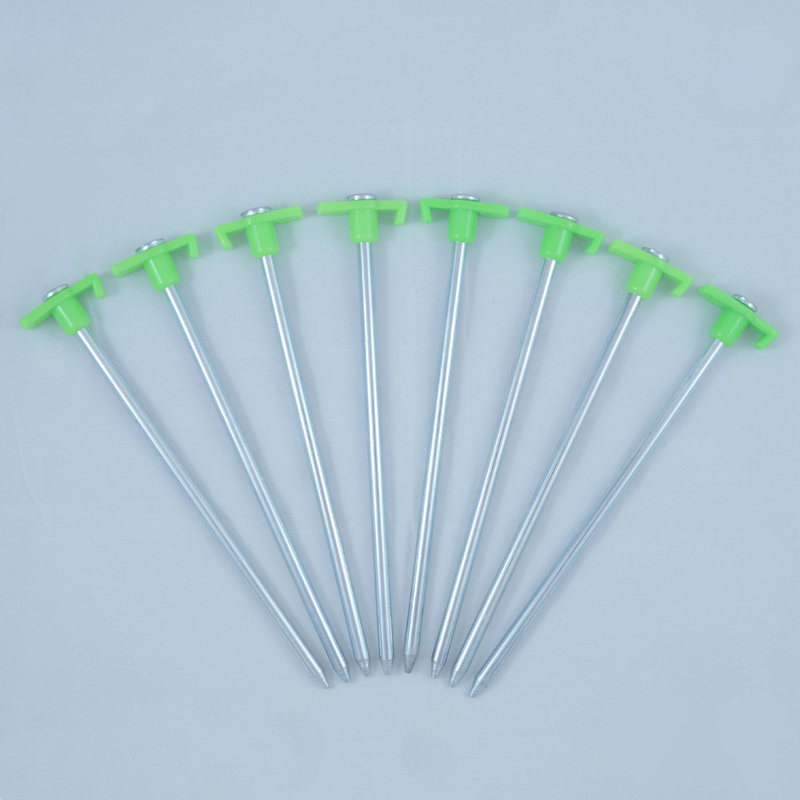 The main advantage of these pegs can be seen when the ground is really stubborn – with these bedrock pegs your tent will be held stably and reliably – even on these challenging bases. It takes several pegs to secure a tent safely, especially on stony and hard soil. 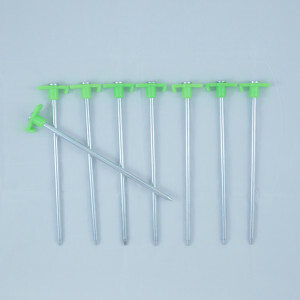 The bedrock pegs by Outdoorer are supplied in an 8-Piece Pack. This number is sufficient to secure your tent properly. Campers know how quickly a peg can be lost and how frustrating that is. This is where the practical transport bag with clip closure comes in handy. It can be used to store the aluminium pegs safely and conveniently. Where are the Rock Peg bedrock pegs available to buy? The Rock Peg bedrock pegs can be ordered at Amazon.